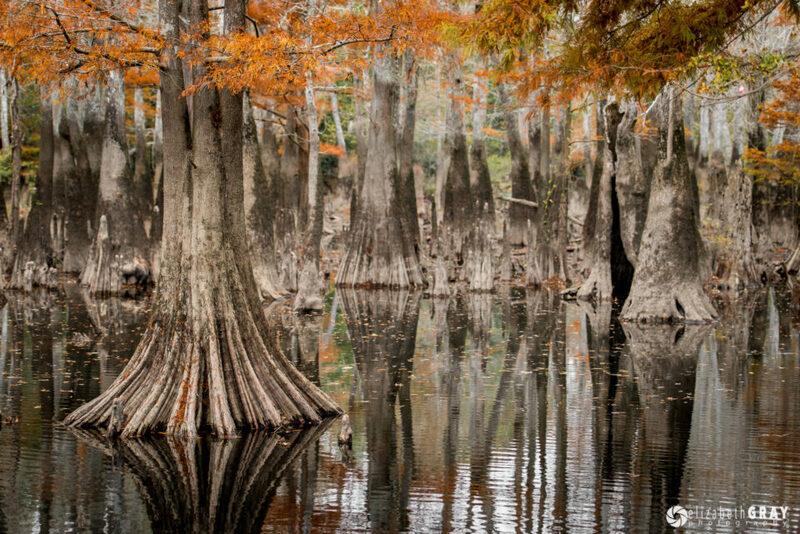 Directions: Upper and Lower Rines Lakes are located in the Pascagoula River Wildlife Management Area in Southern Mississippi. From MS-63, head west on MS-26 to E Wilkerson Ferry Rd. Continue on E Wilkerson Ferry Rd until you see the Wildlife Management Area sign. A couple of hundred yards past the sign, you will see a gravel road on your left. Turn here and follow the road into the lakes. Make sure you sign in and out of the area. 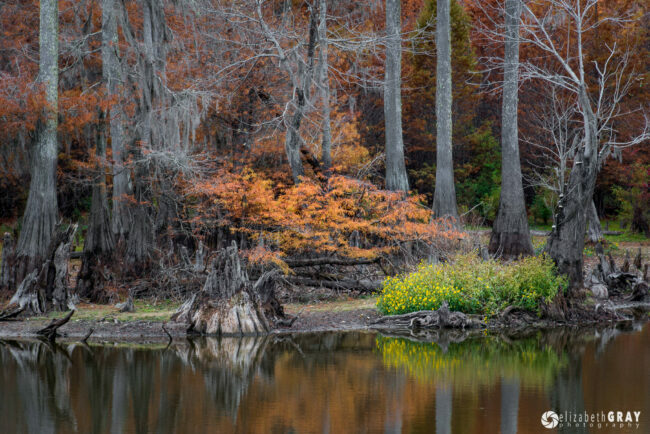 You will need to purchase a $15 Mississippi Wildlife Management Area permit. These permits are not available at the Lakes and must be purchased ahead of time from any Walmart. Upper and Lower Rines Lakes are oxbow lakes formed from meandering channels of the Pascagoula River. 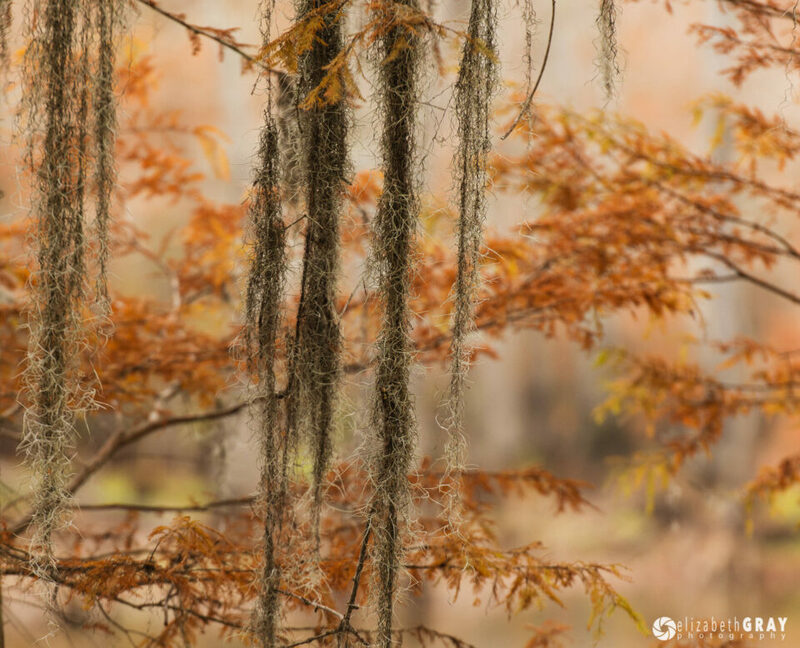 Beautiful bald cypress and water gum trees, dripping with Spanish moss, surround the lakes. 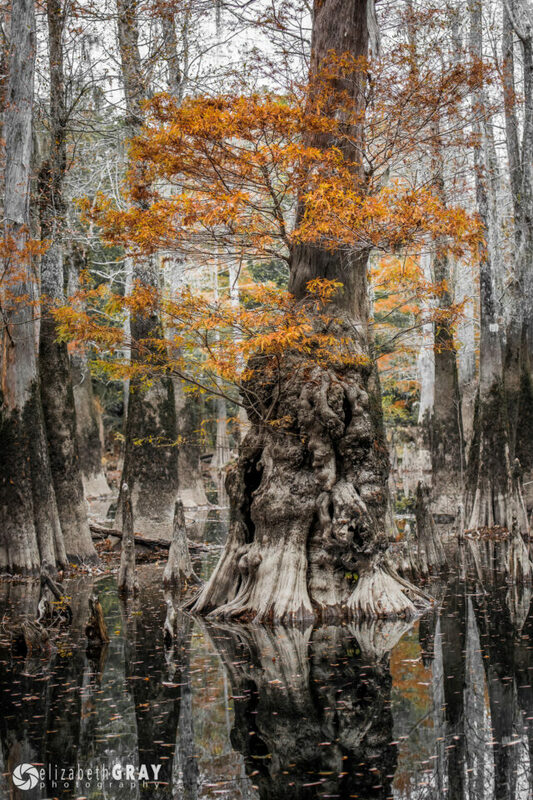 For landscape photos the best time to visit is in the fall, when the cypress needles change from green to brilliant gold. The needles contrast beautifully against their dark grey bark and the moss. The area is also full of birdlife, and is a great spot to find warblers, vireos and other songbirds during spring migration (April and early May) as well as egrets and herons throughout the year. 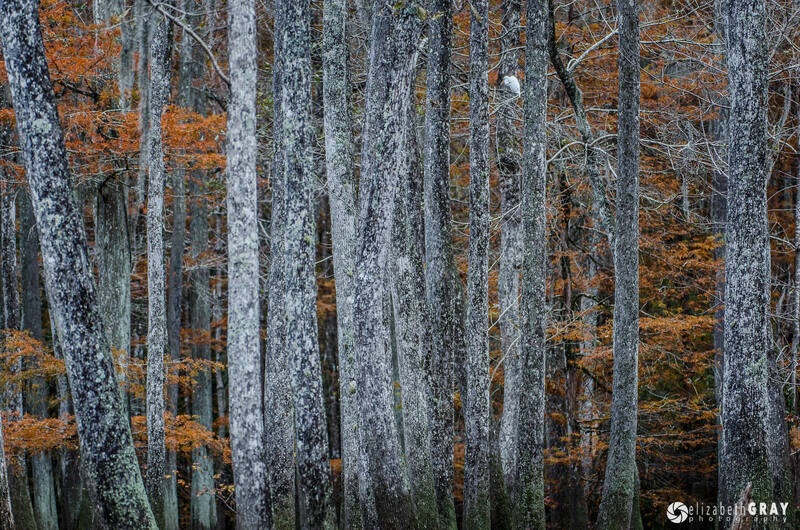 This area is full of photography potential, from landscapes and wildlife to close-up shots. I always bring a macro lens with me, as there are so many details to photograph. A 24-70mm wide-angle lens is a must for reflections, and overall views of the lakes. For wildlife, bring your longest lens. I use an 80-400mm, which gives me lots of flexibility. Don’t forget a sturdy tripod to maximize sharpness in your images. Don’t forget to look for tiny details among the larger vistas of the lakes. 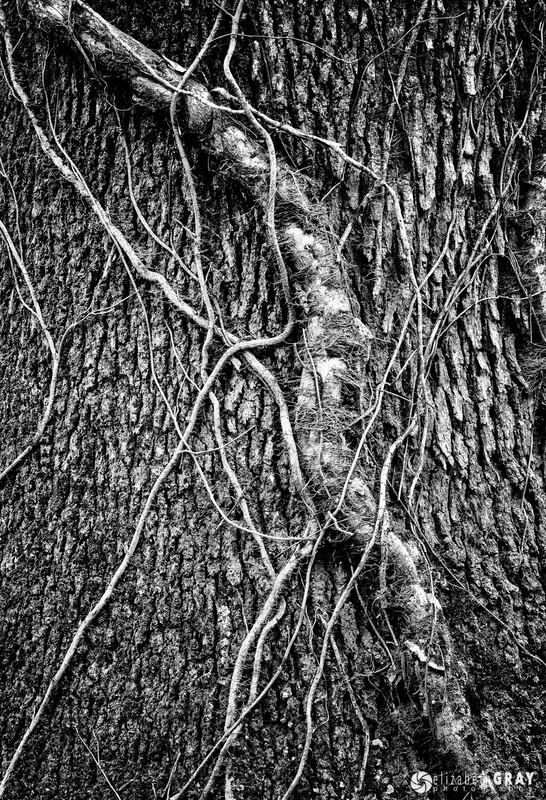 Vines, water plants, leaves and insects make great macro subjects. Get down low to the water to get some wonderful reflections of the fall color. Go abstract! Take reflections in the rippled surface of the lakes. beautiful place and shots. Will visit. thanks for the details!